Many readers may be interested in an article by Gina Kolata in today’s issue of The New York Times. It deals with the rising popularity of stereotactic body radiation therapy (SBRT) in the management of localized prostate cancer. 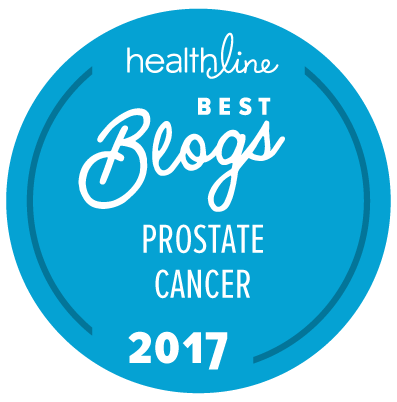 The article is entitled “Popular prostate cancer therapy is short, intense and unproven”. It is absolutely true that SBRT is an “unproven” form of therapy — in the sense that it hasn’t been compared in effectiveness or safety to any other form of standard management for localized prostate cancer in a randomized clinical trial. However, this has been true over the years for multiple forms of treatment used in the management of prostate cancer. What we do have with respect to the use of SBRT is several, growing sets of long-term outcomes data — most notably that of Katz and colleagues, who have tracked the outcomes of > 500 patients treated with SBRT for up to 9 years and reported regularly on the effectiveness and safety of this form of treatment. If a new, randomized clinical trial of SBRT was to be initiated tomorrow, The “New” Prostate Cancer InfoLink believes that it should compare SBRT to hypofractionated IMRT (i.e., 4- or 5-week-long treatment using standard IMRT) as opposed to the older 8- or 9-week-long course of therapy). We also believe that it should exclude all patients who meet NCCN criteria for initial management on active surveillance. Such a new trial would probably need a minimum of 8 years to be able to appropriately report on the risks for side effects of the differing types of radiation therapy, and longer before we could tell if there was any significant difference in patients’ risk for cancer recurrence and mortality rates. From a patient perspective, a critical benefit of SBRT compared to standard forms of IMRT is the relative brevity of the treatment regimen, which can be completed over just a few days as opposed to multiple weeks of treatment bwith five treatment sessions every week. While I was practicing active surveillance for over 7 years I stayed current with the prostate cancer treatment literature and ended up deciding to pursue either LDR brachytherapy or SBRT if/when I needed treatment. In 2012 a targeted biopsy (CDU, Dr. Duke Bahn) found progression from Gleason 3 + 3 to 3 + 4 in the index tumor we had been tracking and my PSA doubling time had decreased from 12 to about 6 years, so it was time for treatment. The SBRT papers at that time, as well as communications with Dr. Katz in New York and SBRT centers in San Diego and Seattle, led me to do SBRT with Cyberknife (Dr. Tay, St. Mary’s, Reno). After a year to fight for insurance coverage I had the SBRT done in 2013. My PSA has declined to 0.2 ng/ml which has been a constant nadir now for 13 months. There is a growing volume of papers on SBRT results, all of which indicate similar positive outcomes to the citation for Katz et al above.